Just when he was about to turn 50, Sintra released a concept album featuring songs about growing old. The album was September of My Years. The album won two Grammys: Album of the Year and for the song, "It Was a Very Good Year." Six years later, Sinatra announced his retirement at a concert in Los Angeles. On the next episode of the FS Detention Club, we will listen to tracks from September of My Years and the complete 1971 retirement concert. Premieres Sunday, December 9 at 1pm Central. 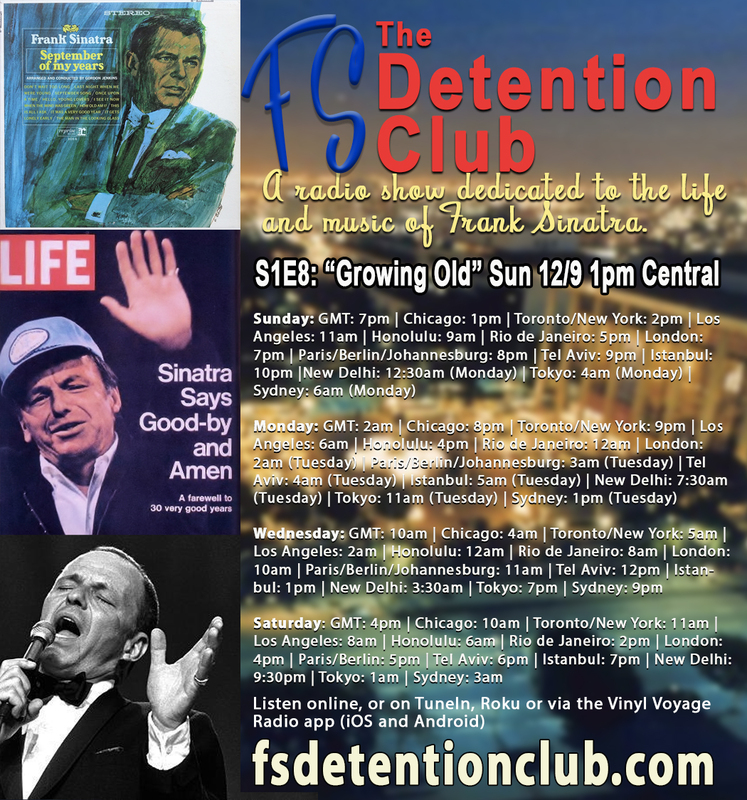 The FS Detention Club is a radio show dedicated to the life and legacy of Frank Sinatra. Hosted by Bruce Janu, every week the FSDC plays an eclectic mix of music from Sinatra and friends, usually around a central theme. During live shows, connect with us and other listeners in the FSDC Taproom. Click on the image to enter. Check Out the Swag, Baby! © Bell, Book and Camera Productions. Picture Window theme. Powered by Blogger.